Richie Hebner is distinguished, along with the later star Tom Glavine, as a hockey/baseball phenom from Boston who gave up the ice for two decades on the major league diamond. Hebner was a true throwback, often criticizing cookie-cutter ballparks and their phony turf. 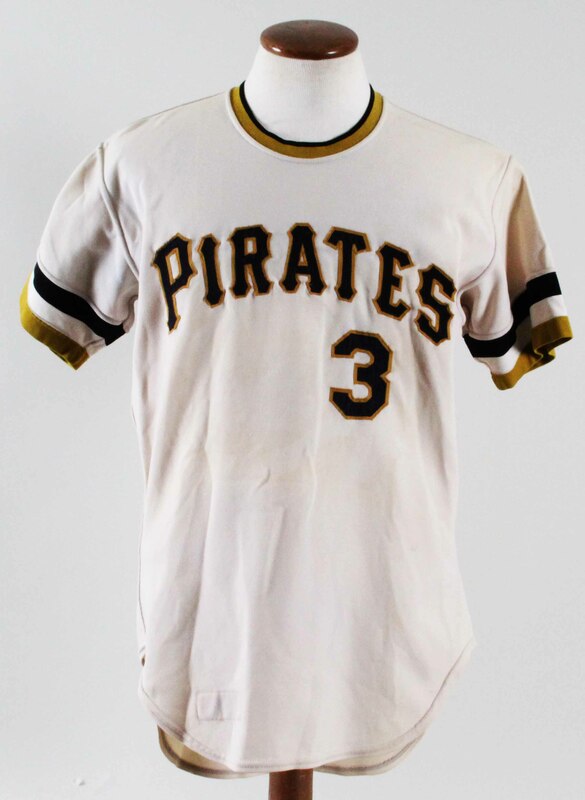 This game jersey of Hebner dates to his time with the Bucs in 1974. This size 42 pullover jersey, as designated by a period Rawlings label, is as expected for Hebner. There is no chain link tail identifier, but it does sport a “Set 1, #8P – 1974” flag tag. The identifiers are original and unaltered in beautiful black-on-gold, and similarly colored accent striping is on the sleeves and neckline. 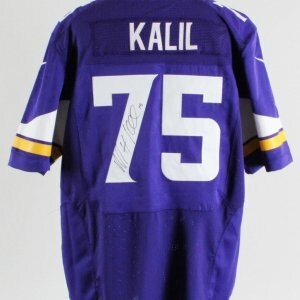 The jersey itself shows some discoloration from age/laundering. Hebner’s Pirate knits have always been considered scarce so this is a great opportunity to own a gamer of his.